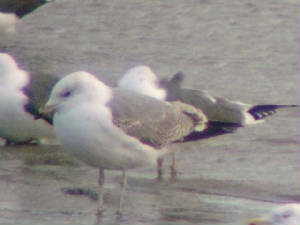 RINCREW (nr Youghal): 1st-winter CASPIAN GULL again present. 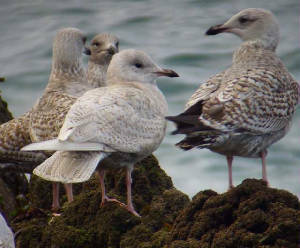 RINCREW (nr Youghal): 2nd-winter Yellow-legged Gull (plus another 2nd-winter on Co Cork side of estuary), 1st-winter Iceland Gull & 2nd-winter Mediterranean Gull. DUNGARVAN (I-WeBS count): Totals included 5 Red-throated Divers, 22 Great Crested Grebes, 433 Brent Geese; also a 2nd-winter Mediterranean Gull (nr Stafford Miller) & a 1st-winter Iceland Gull (Ballynagaul). CLONEA STRAND: 18 Great Northern & 19 Red-throated Divers, adult dark-bellied Brent Goose & 161 pale-bellied Brent. 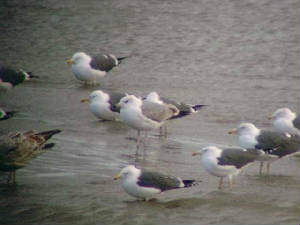 RINCREW (nr Youghal): 2nd-winter Yellow-legged Gull & a Ruff, on Waterford side. 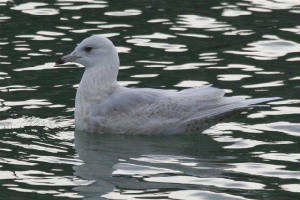 TRAMORE BOATING LAKE: Adult Ring-billed Gull & 2nd-winter Mediterranean Gull. TRAMORE BACKSTRAND (I-WeBS count): Totals included 713 Brent Geese, 51 Shelduck, 2 Great Crested Grebes, 346 Oystercatcher, 523 Curlew, 26 Knot & 11 Greenshank; also 10 Choughs (nr Clohernragh) & 2 Merlins. BALLYSHUNNOCK RESERVOIR: 3 Great Crested Grebes & 2 Greylag Geese (possiby feral birds). COOLFIN/PORTLAW: Green Sandpiper along the Clodiagh river. DERRIGAL: 45 Greylag Geese at Derrigal Cross-roads. FIDDOWN/TIBBERAGHNY: 3 Pink-footed Geese, 268 Greylag Geese, 43 Whooper Swans & 4 Little Egrets at Tibberaghny (Co Kilkenny); 80 Teal at Fiddown Bridge. KNOCKADERRY RESERVOIR: 5 Shoveler, 3 Gadwall & 48 Tufted Duck. YOUGHAL/KINSALEBEG: A 1st-winter CASPIAN GULL* flew from the Youghal (Co Cork) to the Kinsalebeg (Co Waterford) side of the Blackwater estuary - first county record for Waterford. 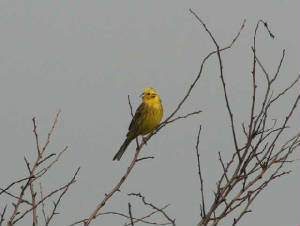 KILBRIDE, nr Tramore: 17 Yellowhammers. BALLINDUD (Tramore Rd): 2 Little Egrets. HELVICK: Total 5 Iceland Gulls, including an adult, & an adult Mediterranean Gull. COLLIGAN RIVER: Merlin, 2 Green Sandpipers & 2 Common Sandpipers upriver from Ballyneety. TRAMORE BAY: 6 Great Northern & 21 Red-throated Divers. 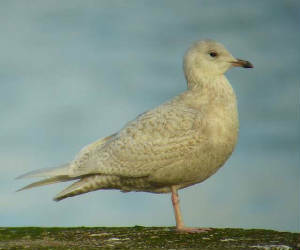 RINCREW, nr Youghal: 2 Iceland Gulls on the Co Waterford side of the estuary. LISMORE to BALLYDUFF: 3 female Blackcaps at Glenmore, west of the Towers. DROMANA HOUSE (R. Blackwater): Green Sandpiper. 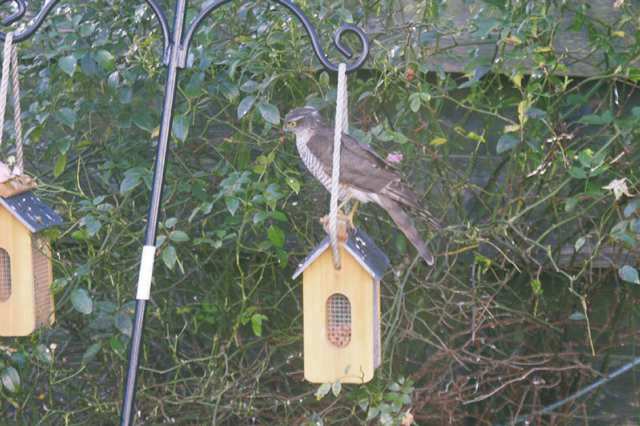 BALLYNATRAY: Common Sandpiper & 2-3 Jays. 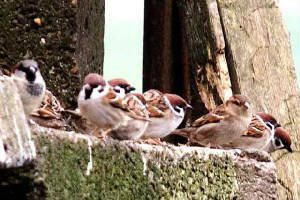 Nr WHITING BAY: Tree Sparrows. 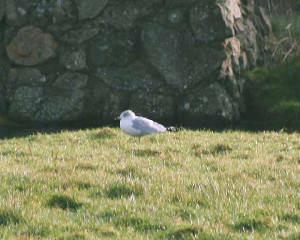 HELVICK: 4 Iceland Gulls , 1st-winter Glaucous Gull & 2 1st-winter Little Gulls (1 dead in water). DUNGARVAN: Green Sandpiper at Brickey river, female Goosander at Ballyneety. CLONEA STRAND: Black-throated Diver, 16 Great Northern & 3 Red-throated Divers, 2 Purple Sandpipers & a Chiffchaff, Ballinclamper. PORTLAW: Kingfisher & Green Sandpiper on the Clodiagh River. KNOCKADERRY RESERVOIR: 2 Gadwall & 4 Shoveler. CASTLETOWN FEN: 2 Stock Doves. 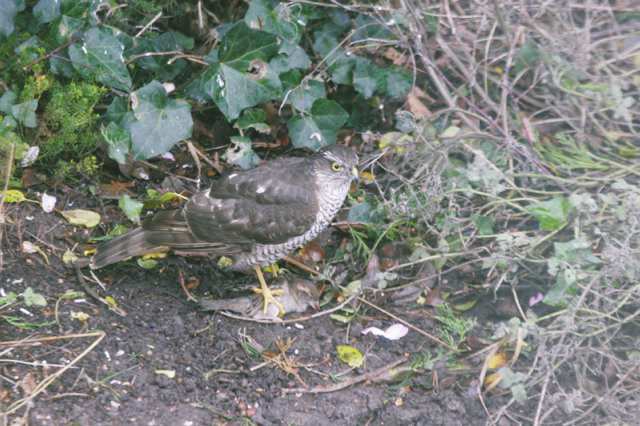 DUNGARVAN: Song Thrush feeding a fledgling in the grounds of GlaxoSmithKline - a very early breeding record. 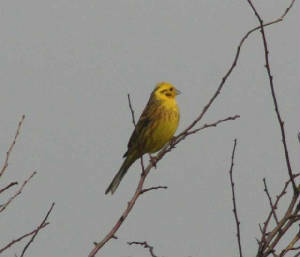 KILBRIDE, nr Tramore: Merlin & 9 Yellowhammers. HELVICK PIER: 5 Iceland Gulls. 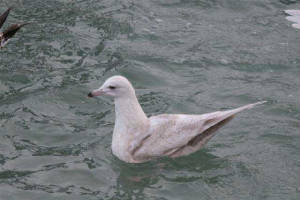 TRAMORE BOATING LAKE: 3rd-winter Iceland Gull. BALLYLEMON: Male & female Blackcap (male heard singing), also seen the previous week. 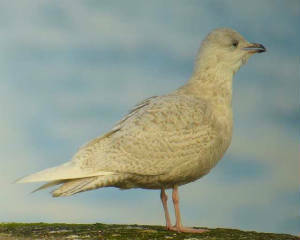 RINCREW, nr Youghal: 1st-winter Iceland Gull & 1st-winter Glaucous Gull. 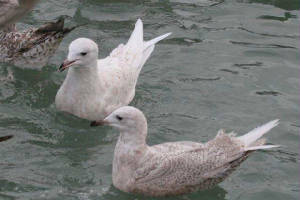 HELVICK: 2 1st-winter Iceland Gulls. DUNGARVAN: Yellow-legged Gull at the Cunnigar. 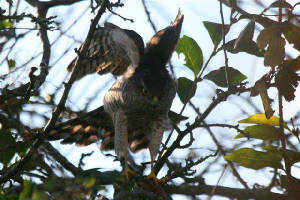 DUNGARVAN-CLONMEL ROAD: Male Hen Harrier. TRAMORE: Black Redstart at the Summerville estate. HELVICK: 1st-winter Glaucous Gull & 1st-winter Iceland Gull, also lots of Gannets diving & 'huge numbers' of Razorbills (very few Guillemots) between Helvick and Ballynacourty lighthouse. DUNGARVAN: 7 Red-throated Divers between Gold Coast and Ballynagaul. 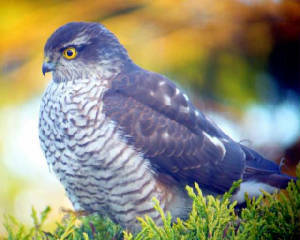 DUNGARVAN: Merlin at Kilossera, nr Killongford bridge. 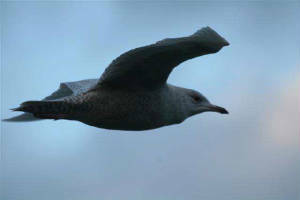 DUNMORE EAST: Glaucous Gull, also 2 Mute Swans on sea in harbour. Off RAM HEAD: Unseasonal (winter or early?) Manx Shearwater offshore. 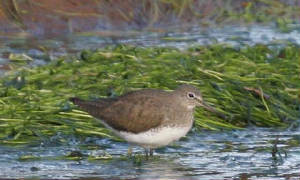 DUNGARVAN: Green Sandpiper on the Colligan. 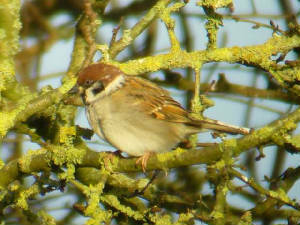 Nr WHITING BAY/ARDMORE: Flock of Tree Sparrows still present in a farmyard. TRAMORE BOATING LAKE: 2 Mediterranean Gulls. 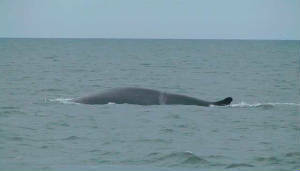 YOUGHAL area: 4-5 Fin Whales south of Capel Island (Co Cork), present for almost a week - see Irish Whale & Dolphin Group website - with recent reports also from Bunmahon and Brownstown Head (Co Waterford) and Hook Head (Co Wexford). 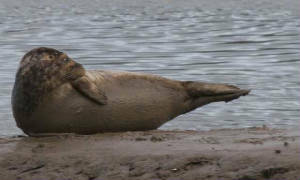 IWDG would wlecome any further sightings. WATERFORD CITY: Flock of at least 5,000 Starlings over Tycor at dusk, presumably going to roost nearby. 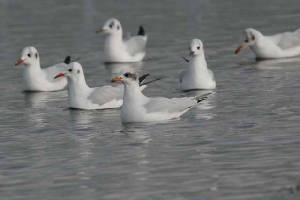 BOATSTRAND: 2 1st-winter Mediterranean Gulls. 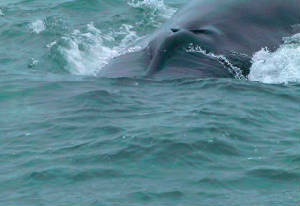 BUNMAHON: 1st-winter Glaucous Gull, Common Dolphins & a Fin Whale. BALLYSAGGART area (Knockmealdowns): Single Jack Snipe & Red Grouse today (up to 6 Grouse recently). CLONEA STRAND: Dark-bellied Brent Goose at Ballinclamper. COOLFIN: 4 Pink-footed Geese with 167 Greylags, also a Merlin. 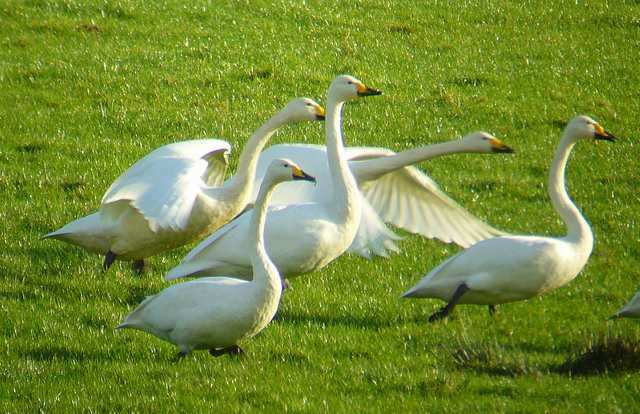 TIBBERAGHNY (Co Kilkenny side): 30 Whooper Swans & 25 Greylag Geese. BALLYSHUNNOCK RSERVOIR: 3 Great Crested Grebes, Chiffchaff. 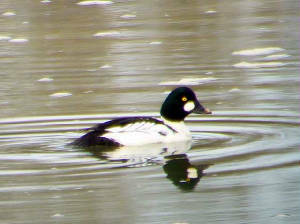 KNOCKADERRY RESERVOIR: 111 Mallard, 28 Tufted Duck. DUNGARVAN: Immature Iceland Gull at Barnawee. 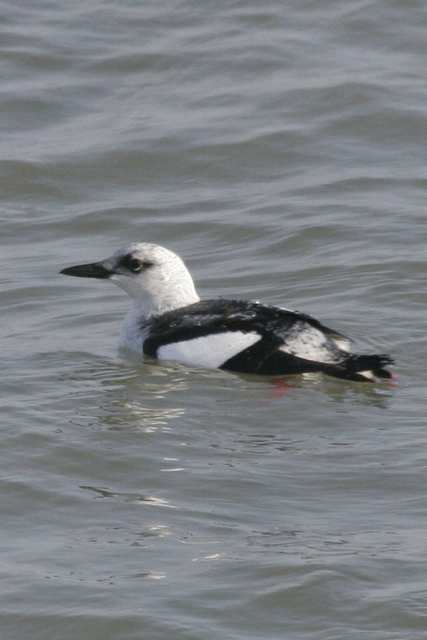 ARDMORE BAY: Great Northern Diver & adult Mediterranean Gull. DUNMORE EAST: Great Northern Diver, Red-throated Diver, 5 Purple Sandpipers & an adult Iceland Gull. CHEEKPOINT: 2 adult Yellow-legged Gulls. 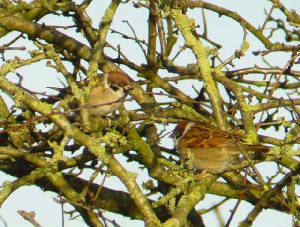 Near ARDMORE/WHITING BAY: 30+ Tree Sparrows - probably the largest flock ever recorded in Co Waterford. COOLFIN: 70+ Greylag Geese & a White-fronted Goose. DUNGARVAN: Black Brant, male Goosander, Kingfisher & 2 Curlew Sandpipers at Ballyneety. TRAMORE BACKSTRAND (I-WeBS count): Totals included 17 Little Egrets, 677 Brent Geese, 2900 Golden Plover, 140 Grey Plover, 71 Ringed Plover, 56 Sanderling, 688 Dunlin, 238 Black-tailed Godwit, 210 Bar-tailed Godwit, 677 Curlew, 165 Redshank & 11 Greenshank. WATERFORD HARBOUR (CREADAN STRAND to PASSAGE EAST, I-WeBS count): Total included 12 Great Crested Grebes, 18 Brent Geese, 1025 Oystercatchers & 330+ Lesser Black-backed Gulls; also a Chiffchaff at Geneva Strand. STRADBALLY COVE: Little Auk, adult Yellow-legged Gull & Great Northern Diver. CLONEA STRAND: Dark-bellied Brent Goose, 280 light-bellied Brent, 5 Great Northern Divers & a Red-throated Diver. DUNGARVAN: Black Brant (at pitch & putt course), 722 light-bellied Brent, male Goosander at Ballyneety, male Green-winged Teal at Killongford, 10 Great Northern Divers, & a 1st-winter Ring-billed Gull at the Cunnigar. DUNGARVAN: 3 Curlew Sandpipers at Ballyneety, opposite the Park Hotel, and 5 Great Northern Divers close inshore at the lookout. WOODSTOWN: 2nd-winter Mediterranean Gull & a Chiffchaff. TRAMORE BACKSTRAND: Kingfisher at Clohernagh, opposite Murphy's bar. 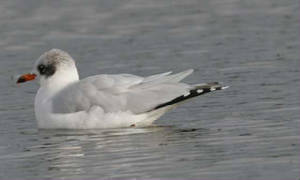 TRAMORE BOATING LAKE: 2nd-winter Mediterranean Gull (colour-ringed bird). BALLYVOONEY COVE: 3 Red-throated Divers. 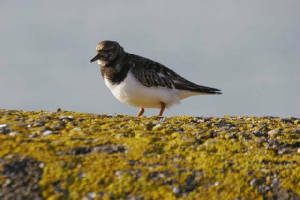 CLONEA STRAND: Red-throated Diver, 8 Great Northern Divers, 325 Brent Geese & 26 Sanderling. 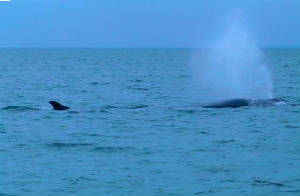 RAM HEAD: 12 Red-throated Divers, 2 Fin Whales, 15 Common Dolphins & 3 Porpoises. TRAMORE BACKSTRAND: Green Sandpiper near Kilmacleague. DUNGARVAN: 3 Goosanders & 2 Curlew Sandpipers at Ballyneety, 4 Common Sandpipers at Barnawee & a Green Sandpiper at the Brickey River.